There’s plenty of recognisable and popular cars on the roads at the minute, and the number of new financed cars is only rising. The recent releases are becoming more and more visible too. In today’s blog we are going to fill you in on our two favourite hot hatchbacks, cars that may see rather often, taken away and given a serious boost of testosterone. You may even drive one of these yourself, if you do, let us know what you think as the owner and driver. We’d love to know more about what these car deliver day-to-day. The BMW 1 series may well be one of the most common higher-end vehicle that you see on the roads today. With many businesses opting for these as company vehicles, and 1000’s of people making use of BMW’s finance options, these are far from rare. And with good reason. The divisive, ‘marmite’ long nose design is one we really like at number1plates, and it doesn’t take anything away from the practicality of the car, with a huge boot space and 3 or 5 door options, all the boxes are ticked. 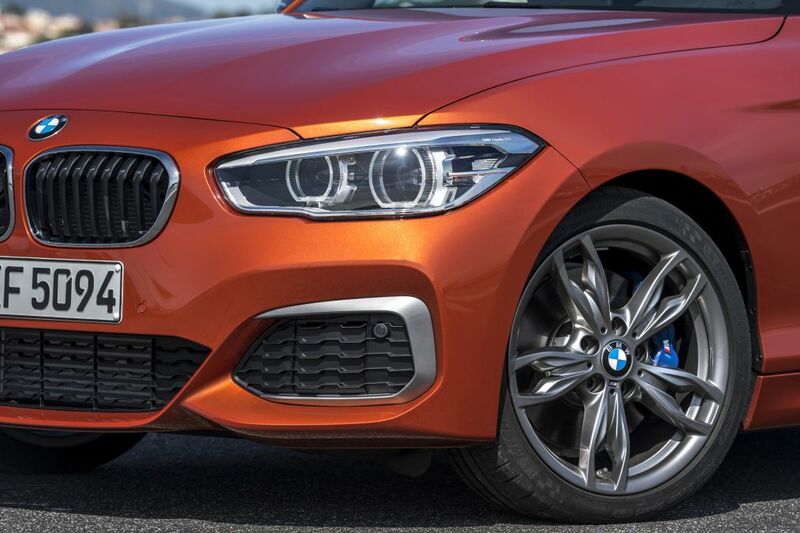 But, we aren’t talking about a standard 1 series, we are talking about the perhaps unnecessarily powerful M140i. Which is a whole different beast. So, it goes from 0-62mph in 4.8 seconds. And that’s that. This comes from a 3.0-litre straight-six petrol engine, which comes with a manual gear box that may improve the ratings from some driving enthusiasts. Back to the looks, it’s certainly more subtle than our second contender, maybe the £5000 savings is due to the lack of an absolutely gigantic rear spoiler perhaps? But it remains a great looking car, without trying to over instate itself. Hot hatchbacks rating, 4/5, what are you thoughts? Just look at it. No matter where this car is, or how fast it is going, it just looks like it wants to take of into orbit. And it almost can, it’s 376bhp means it packs more punch than a Porsche 911 Carrera. This teamed with four-wheel-drive and a 0-62mph of 4.2 makes it a controlled drive, rather than a terrifyingly quick one. The interior though has people wondering if too much time was spent on the engine. Like many cars in this category, deep-hugging sports seats greet you upon entry, which is great. Though theres something about colour trims on air vents, and the carbon fibre dash that just doesn’t sit right. Like the 1 series, the Mercedes A-class is a very popular car if you look at the base models. It’s luxurious, business like feel appeal to many people, and though it doesn’t have a 3 door option, it doesn’t lack in sporty appeal that may shout to younger buyers. 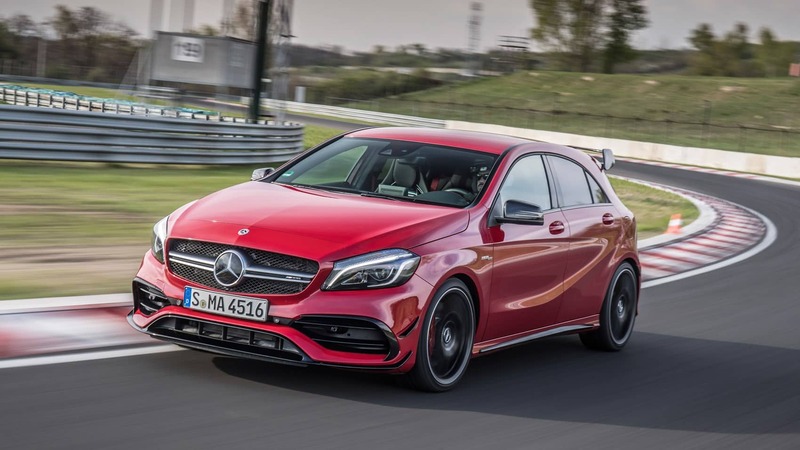 With that in mind, the A45 wouldn’t leave you with much change from £45,000. So if you were to take this review seriously, you might want to consider a few other options first before diving in. Hot hatchbacks rating, 4/5. Your winner?